Check the Mission bulletin board at the back of the church for the detailed list for the Hygiene and School Kits plus any other Mission updates. Look for canisters for the ongoing collection of Box Tops for Education, Crossroads Child Services, Coins for the Holy Joe’s Café Coffee for the Troops, and Keith’s Horseback Riding Therapy. The Richmond Food Pantry is always in need of food. Watch the newsletter for the items that are needed each month. Our congregation gives $600.00 annually to support the Richmond Good Samaritan Fund. Cash donations are always needed and welcomed. Food distributed to 277 adults, 91 children, 10 teens. Paid for 2 evictions notices, 1 DTE energy shutoff, 1 City of Richmond water shutoff. Received 3,321 pounds of food from the Postal Food Drive. Received food from the Boy Scouts, St. A’s children, Whitetail Deer Assoc. Received meat from Alarro 4-H Club, Chap’s Restaurant. Received eggs from 2 donors. Received financial donations from First Methodist, First UCC, St. A’s, ecumenical services, Good Old Days, private donations. Total Food Pantry expenses: $7,124.16. Paying for grocery store gift cards, hotel costs, gas gift cards, meat, Thanksgiving gift baskets, office supplies. Paid 1 employee’s wage of $3,600.00/year. The Food Pantry is busy and needed in our community. We have supported the Pantry with both food and $600 a year to go towards the employee’s wage. 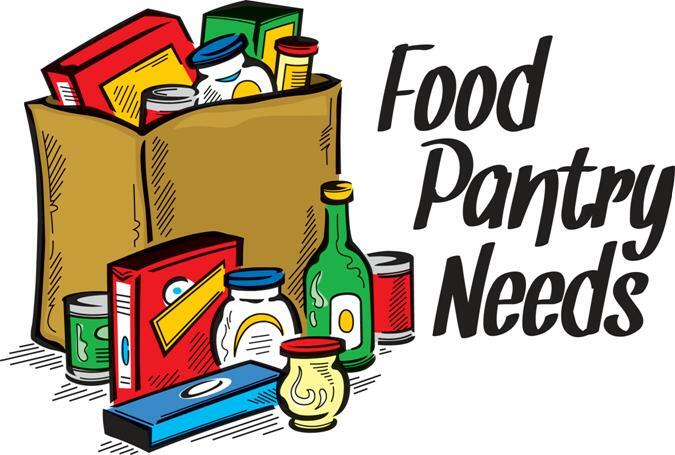 The Food Pantry needs substitute volunteers to help pack food. If you are interested talk to Paulette. Please continue bringing in food donations and pray for the families that use the Food Pantry. to the Blessings in Backpacks at the Methodist Church. Thank you to all! in the narthex closer to the May date. cases and tooth paste willbe given to Kids in Distress KIDS. These are items that couldn’t be sent to CWS. spending time at the church to complete the kits. Thank you to Terry and Miller Transit Mix for paying for the shipping and to Mark Davis for mailing the check for the processing fee. With everyone’s help we CAN and DO make a difference in the world. On Sunday March 31st we will collect the One Great Hour of Sharing offering. This is the special mission offering of the United Church of Christ that carries God’s message of love and hope to people in crisis. neighbor, stranger helps stranger—for we are the church together. ♦ Families displaced from their homes can build new lives. ♦ Women are no longer subject to discrimination and gender-based violence. ♦ Clean and abundant water and ample sanitation facile ties are available to every person. what might be is founded and grounded in what God envisions and hopes for. We can help – through our gifts of treasure and talent, prayer, and presence to make this world ever more like the way God imagined it would be! Please, give generously to the One Great Hour of Sharing special offering on March 31st so that your imagination might indeed be ever more joined with God’s! Envelopes will be provided in the Sunday bulletin. Thank you again for your continued support throughout the year.